Oracle Marketing Cloud’s data-driven solutions create engagement, orchestrate experiences, connect data, and optimize online interactions that attract and retain ideal customers. Oracle Marketing Cloud customers love Fresh Relevance because of the ease of deployment of real-time personalization and automation inside their existing technology platforms. Use Fresh Relevance’s real-time web personalization tools to deliver personalized and relevant experiences to your customers at each stage of the sales cycle and throughout their lifetime as a customer. Utilize every opportunity to build your customer experience, through customer experience management. 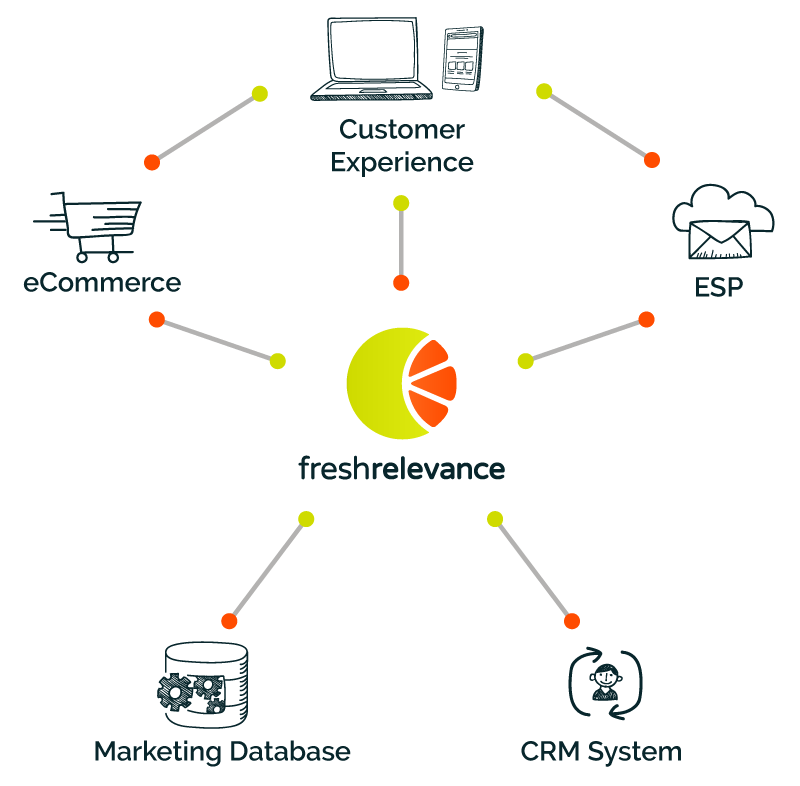 Fresh Relevance integrates transactional and behavioral data with Oracle Marketing Cloud, no matter what eCommerce platform you use. Product details are collected and updated in real-time so there is no requirement for CMS integration. Customers expect a personalized experience however they interact with your brand, whether it’s through email, social media or on the web. Fresh Relevance seamlessly integrates with Oracle Marketing Cloud to give you a true cross-channel personalized platform, using machine learning product recommendations, web content optimization, AB/split testing and advanced merchandising rules - to name but a few. 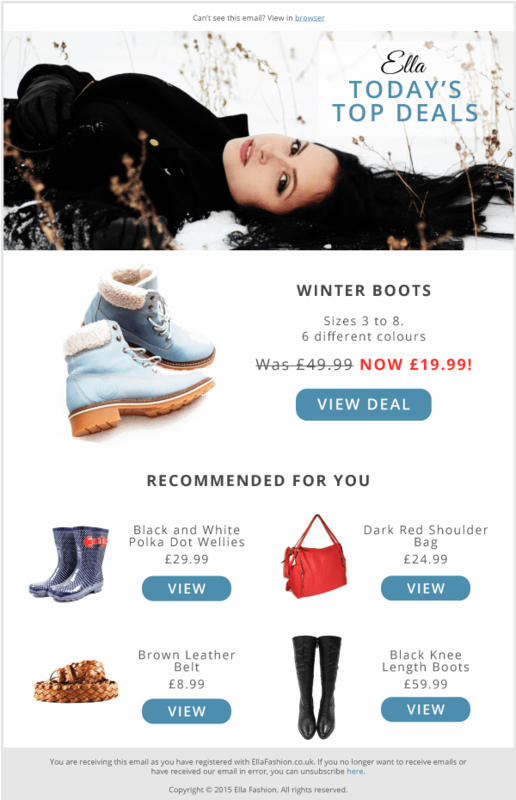 Add personalized recommendations, which match each shopper’s interests, in your product pages and emails; giving shoppers even more opportunities to purchase. Fresh Relevance machine learning techniques deliver real-time personalized recommendations across any and all channels, including recommendations based on browse and purchase history, and customer behavior. Oracle’s Cross-Channel Marketing solution, Oracle Responsys, features award-winning email marketing capabilities that drive conversions, deepen the customer relationship, and reduce messaging fragmentation. 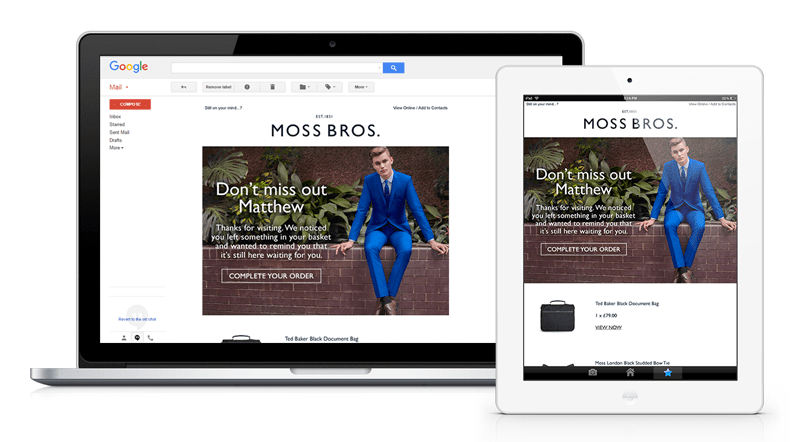 Because Oracle Responsys email is orchestrated alongside other marketing channels -- such as mobile, web, display and social -- it resonates with more consumers and drives long term value.